Another week has gone by and the bump has gotten bigger. In comparison to my increasing belly, my appetite for chocolate has been decreasing over the course of my pregnancy. Which makes for a slightly less enjoyable Easter for I am a large fan of Cadbury’s Easter eggs and usually happily over indulge. But this Easter we purchased one lonely bag of mini eggs and it latest for days – simply unheard of in our house! We have spent the long weekend sorting and packing or chucking. We want to clear out the spare bedroom, which will be baby’s room, as well as de-clutter and reorder the studio, which will double as an away-from-dogs play area. SNH has worked hard for the last few weekends to install an attic ladder, new insulation and flooring in the roof so we have an official storage area now – hooray! No more dumping in a spare room and turning a blind eye. So we’ve been packing the collectables we want to keep, taking unwanted items to the Salvos and turfing a whole lot of rubbish! It’s all starting to come together. 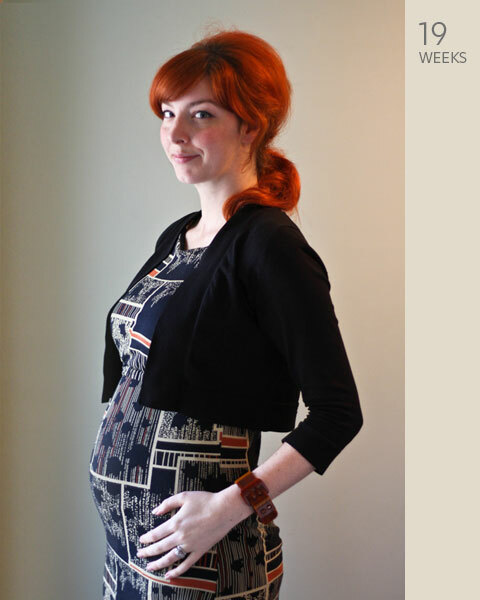 This week we have my first appointment with the Midwife at the Birthing Centre and our 19 week scan – exciting!